When the Globe Building opened in 1933 in Downtown St. Louis, it served as the Midwest Terminal Building for the Illinois Railroad, designed with spacious underground rail tunnels and beefy hand-poured cement floors and pillars. Today, vast cooling units occupy the reinforced roof, and enormous fiber optic cables snake through the building. 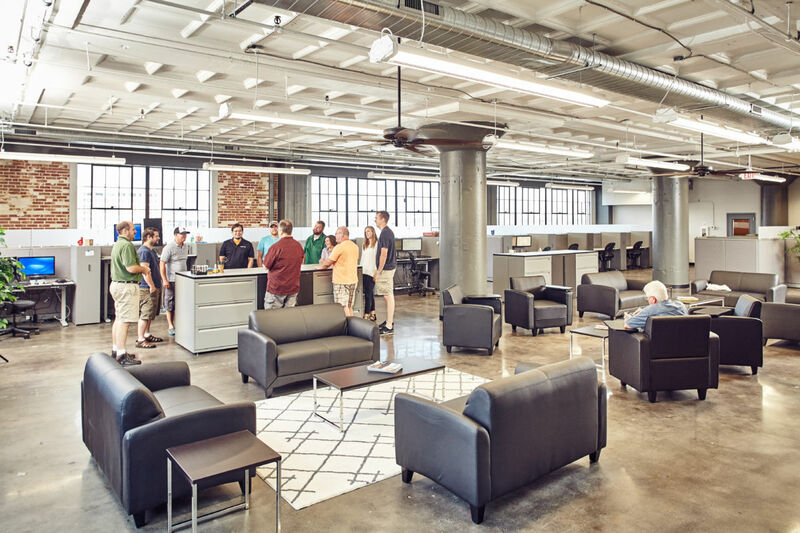 The property now draws tech businesses attracted to open, modern industrial spaces filled with natural light and lightning-fast download speeds for large amounts of data. 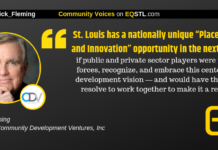 What was built as a distribution center for physical commodities such as hay and lumber— staples of a past era’s economy—is now a data hub located in the midst of St. Louis’ emerging innovation technology corridor. During World War II, several floors of the Globe Building were taken over by the War Department to establish the Army Air Corps map unit, which was renamed the Aeronautical Chart Plant (ACP) and operated as the U.S. Air Force Aeronautical Chart and Information Center (ACIC). The organization later became the Defense Mapping Agency (DMA) and is now the National Geospatial-Intelligence Agency (NGA). When passenger rail service officially stopped in 1958, the post-war decrease in rail use finally ended its occupancy of the building, and it became the Globe-Democrat building in 1959. 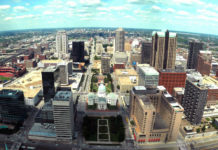 Its easy access to rail, large freight elevators and expanses of open floor space were ideal for bringing in ink, sending out newsprint and accommodating the newspaper’s gigantic printing presses until the late 1980s, when St. Louis could no longer support two daily newspapers. 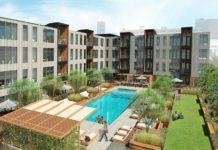 Data centers emerged as the ideal use for the property in the mid-1990s, and during the dot-com boom and beyond, companies were looking for places like the Globe Building, says property manager Jeremy Salvatori. 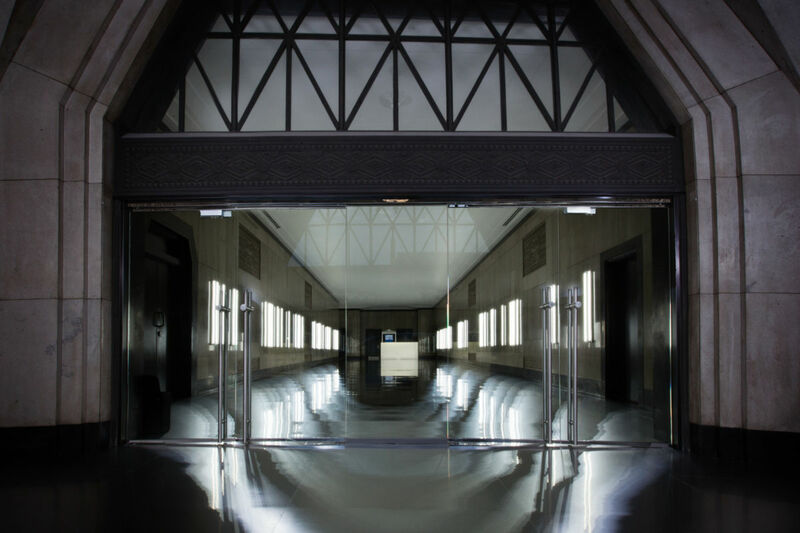 The building’s large, continuous floors, high floor loads, tall ceilings, passenger and freight elevators and accessibility to redundant power supplies—plus that critical feasibility of running lines through the empty shafts—made it a destination for the growing data-center industry. Datotel and Hostirian are two of the data centers and co-location services currently located at the Globe Building. Brown named a few extra features that make it ideal, too: Weight-bearing columns and a 250-pound floor-load capacity bear the brunt of rows of cabinets and equipment while loading docks around three sides, massive elevators and covered garages support freight movement. And about that fiber cable running through the empty elevator shafts: The Globe Building is ideal for business owners who need high-speed internet. 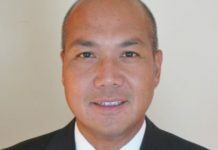 One tenant, GDC Integration, depends on the 10-gigabit connection to provide state-of-the art reliability to their user base. 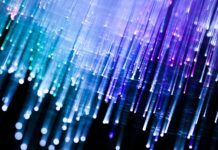 It’s the fiber optics available in the Globe Building, combined with the presence of the data centers in the building, that make this type of data movement easy and fast. And for less-technical companies, simpler things are also more reliable at the Globe, which means Skype doesn’t freeze, video doesn’t skip, and the internet is always working. Datotel moved all of its employees into the Globe Building in 2010, relocating administrative employees from O’Fallon, Missouri, to the larger, scalable and more convenient downtown location. For other businesses, moving to the Globe is about being plugged in to the Downtown community. 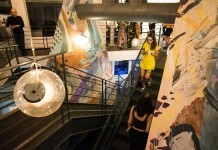 Claunch’s 29 employees also appreciate the location for its culture, and the inexpensive, in-building parking. 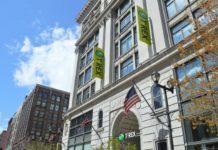 For an octogenarian, the Globe Building is holding its own: With the soon-to-be NGA headquarters just down the street and the T-REX Innovation Center located just a block away, moving your business to the Globe means it’s part of the thriving Downtown Innovation Community. 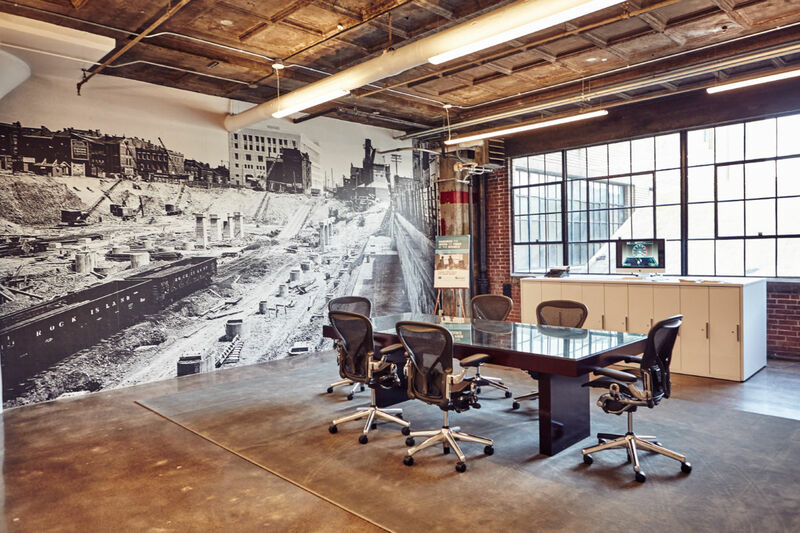 As millennials choose to live and work in urban settings, and St. Louis’ innovation ecosystem continues to grow, the Globe Building increasingly looks more attractive. Besides, if history is any measure, the Globe Building will continue to stand ready to meet whatever needs arise. 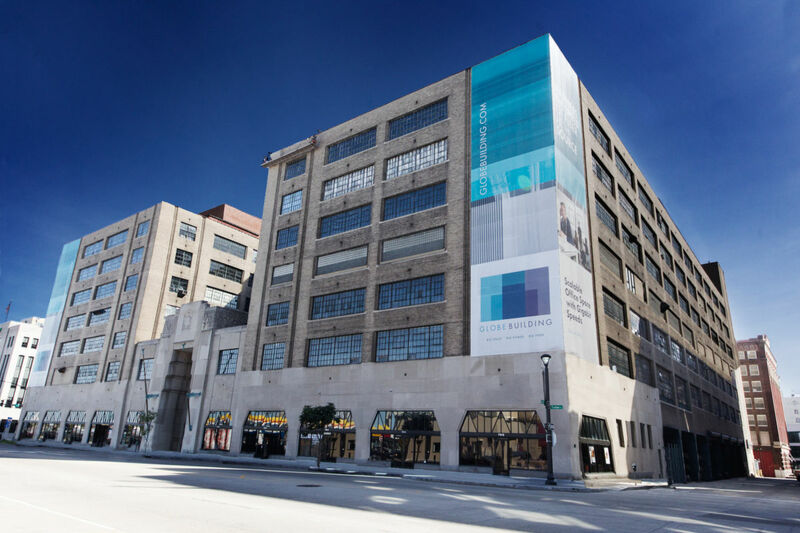 The Globe Building sits in the heart of the Downtown Innovation Community in the former space of the St. Louis Globe-Democrat. 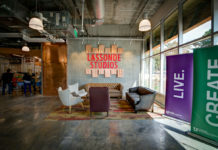 The building offers seven stories and 550,000 square feet of scalable and connected office space to take your business and technology needs global. • Two full-height passenger elevators and four freight elevators with capacity to 5,000 pound. • Spaces available from 1,000 sq. ft. to 70,000 sq. ft. all on one floor. The Globe Building is located at 710 N. Tucker Blvd. in Downtown St. Louis, one block west of T-REX. To learn more, visit globebuilding.com or call 314.241.0450. This story was created in partnership with The Globe Building.